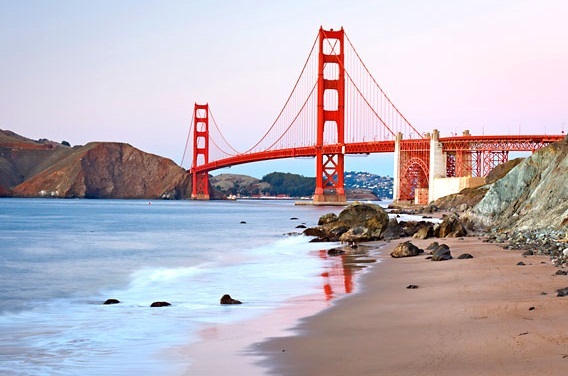 From secluded tropical beaches in Hawaii, to the hustle and bustle of Venice Beach in Los Angeles, here’s our list of the U.S.A’s best beaches, most of which are located in Kaplan destinations. 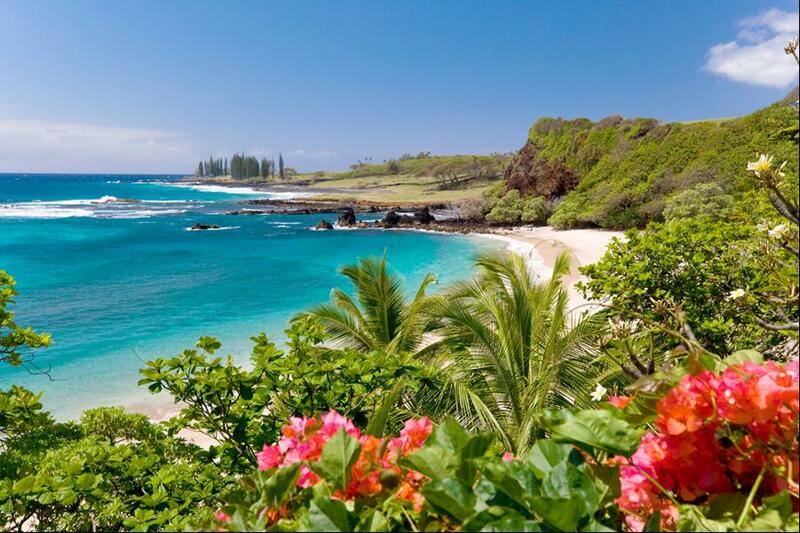 Kauna’oa Bay Hawaii: With its fine white sand, crystal clear waters and palm tree littered beaches, it’s no wonder that the beaches of Hawaii are often voted among the most beautiful beaches in the world. If its tropical beaches weren’t enough to win you over, the snorkelling and diving spots are considered some of the best in America, making Kauna’oa Bay the perfect holiday destination. Venice Beach – Los Angeles: With 75 miles of sandy beach and renowned surfing spots, Venice Beach has something for everyone. Whether you want to spend the day sunbathing, catching a wave, skate boarding along Venice’s Ocean front walk or hitting the amusement pier, L.A’s most busiest and vibrant beach is always thriving with people, and promises entertainment for all. The Hamptons – New York: Located just a short ferry ride away from New York City, The Hamptons is a beloved New York destination. 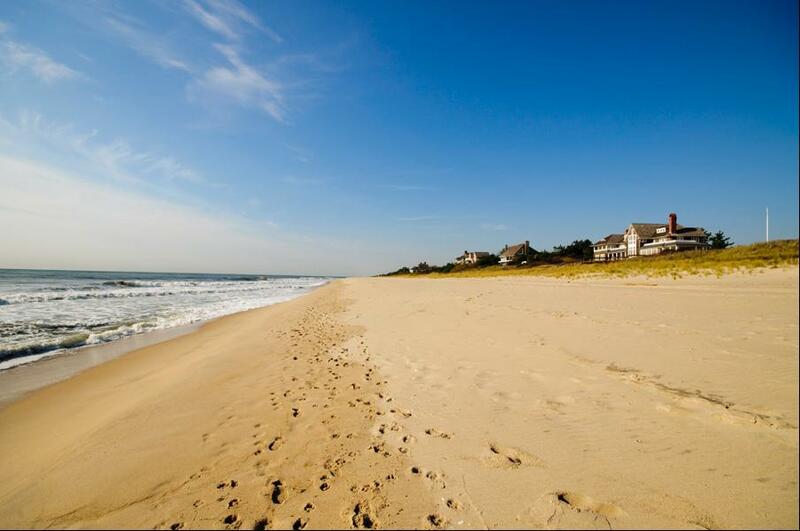 The beach sits within a picturesque town, and is the perfect location for those seeking a peaceful day at the beach. As a favourite with celebrities from all over, you’re also likely to be rubbing shoulders with the A-List. Laguna Beach – California: With its beautiful sandy beaches and clear waters, it’s no wonder that Laguna Beach had its own television show and has featured heavily in countless films. Featuring a number of secluded bays, the beach is perfect for families while its clear and calm waters are perfect for fans of surfing and diving. South Beach – Miami: Often referred to as America’s ‘party beach’ Miami’s South beach is the perfect place for party animals seeking a good time. 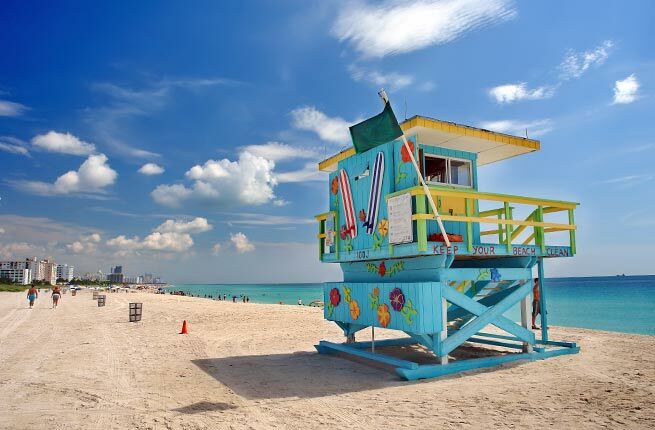 The beach typically attracts a lively, younger crowd who make the most of Miami’s thriving night life. Although it is primarily a ‘party’ beach, South beach also features a thriving art scene and world class boutiques and art galleries. East Beach – Santa Barbara: Like Venice Beach, Santa Barbara’s East Beach is a busy beach side destination. Gentle waves make it a popular spot for swimming, while its volleyball courts make it a mecca for beach volleyball, attracting large groups of sports enthusiasts keen to play in the sun. Baker Beach – San Francisco: Although the water at Baker Beach is not recommended for swimming in, the beach has incredible views of the Golden Gate Bridge, and is the perfect for sporting activities such as volleyball, frisbee and fishing. La Jolla Cove – San Diego: Cited as the most photographed beach in San Diego, with blue waters and white sands, La Jolla resembles a tropical paradise. Home to colourful garibaldi, yellowtail, rays and even leopard sharks, its clear waters make it a desirable spot for diving and snorkelling, while the prohibition on surfing makes it a quiet and peaceful beach cove. Coronado Beach – California: Located just over the bridge from San Diego, this quaint beach is very popular with the locals and families alike. With calm waters and miles of sandy beach, the beach has a relaxed and peaceful vibe, and is popular with swimmers, body boarders and sand sculpters during the summer, while during the winter months whale watches flock to the beach. 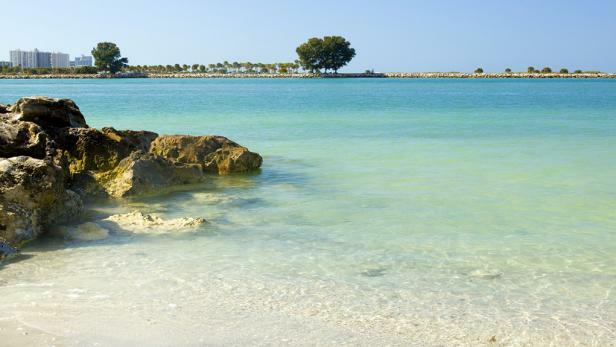 Clear Water Beach – Florida: Bordering on the Gulf of Mexico, Florida’s Clear Water Beach is a firm favourite among families and couples. With beautiful sandy beaches and gentle waters, the beach is a great place to soak up the sun’s rays and swim in the ocean. Visitors are even likely to see the dolphins that frequent this area. Whether you opt for a peaceful day of snorkelling and diving in Hawaii, or would rather spend your day playing beachside volleyball in Santa Barbara, each of these beaches have their own unique appeal, securing them a list in our top ten best beaches in the U.S.A.